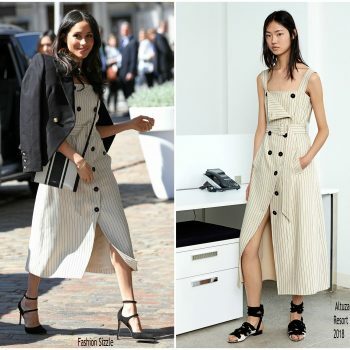 Laura Harrier attended the 2019 BAFTA Los Angeles Tea Party at the Four Seasons Hotel in LA today (December 5th) She is wearing an Altuzarra Spring 2019 dress. 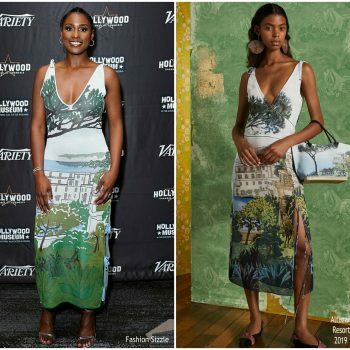 Issa Rae attended the 7th Annual State Of The Entertainment Industry Conference on Thursday (November 15) in Hollywood, California. 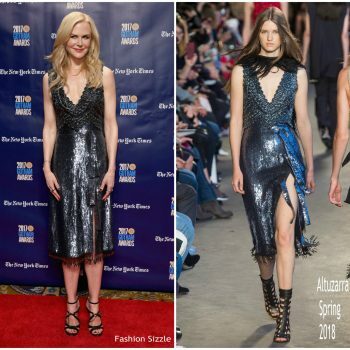 She wore a Altuzarra Resort 2019 dress. 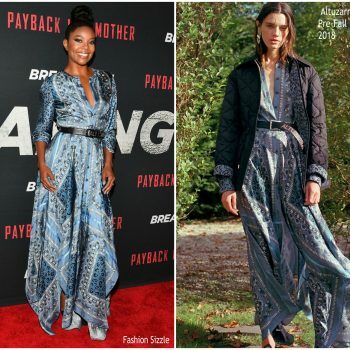 Jenny Slate joined Michelle Williams at the premiere of their movie Venom on Monday (October 1) at the Regency Village Theatre in Westwood, Calif. Jenny is wearing an Altuzarra Fall 2018 dress, styled with Jimmy Choo shoes, and jewelry by Borgioni, Le Vian, Kallati. 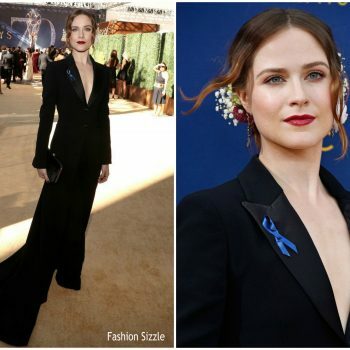 Evan Rachel Wood wore a custom Altuzarra full-length tuxedo to the 2018 Emmy Awards. 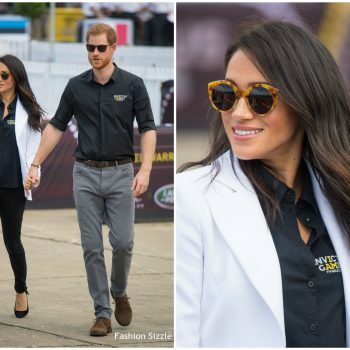 She accessorized with Giuseppe Zanotti heels, a Tyler Ellis clutch & Fred Leighton jewelry. Elizabeth Olsen attended the Environmental Media Association 1st Annual Honors Benefit Gala on Saturday (June 9) in Los Angeles, California. 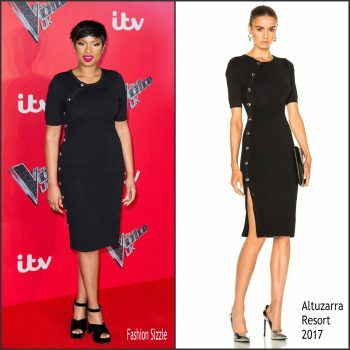 She wore a black Altuzarra ‘Marceau’ Spring 2018 dress. 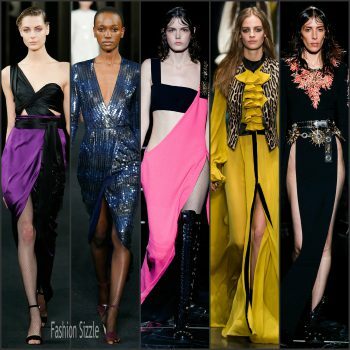 Rosie Huntington-Whiteley attended the 2018 CFDA Fashion Awards on Monday (June 4) held at the Brooklyn Museum in New York City. 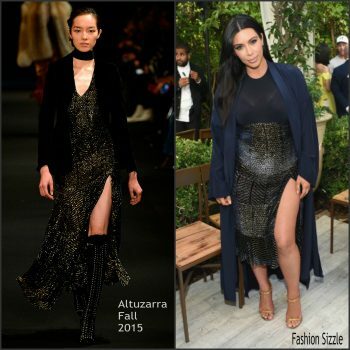 She wore a Altuzarra Resort 2019 design. 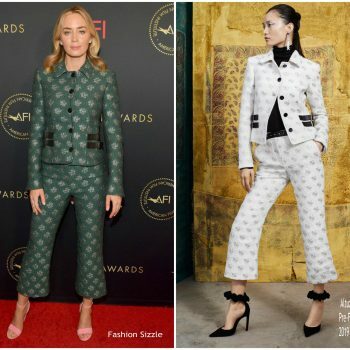 Jodie Foster attended The ‘Hotel Artemis’ premiere on Saturday (May 19) in Westwood, California She wore a Altuzarra Pre-Fall 2018 suit. 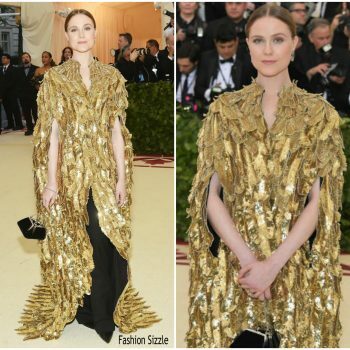 Evan Rachel Wood along with Thandie Newton attended the ‘Westworld’ Season 2 LA premiere on Monday (April 16). 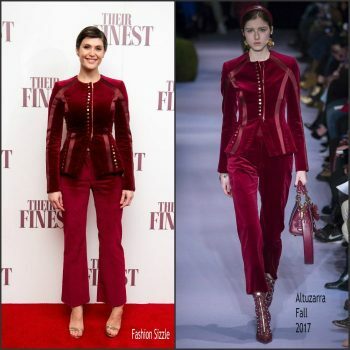 She wore a s Altuzarra Fall 2018 three-piece suit . 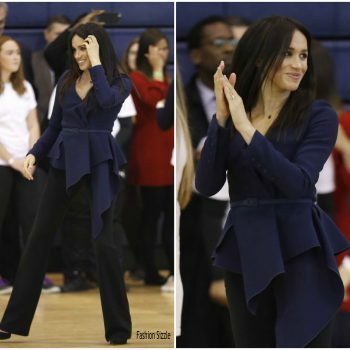 “Bodak Yellow” rapper Cardi B was spotted arriving to her Invasion of Privacy album listening party on Thursday night (April 5) in New York City. 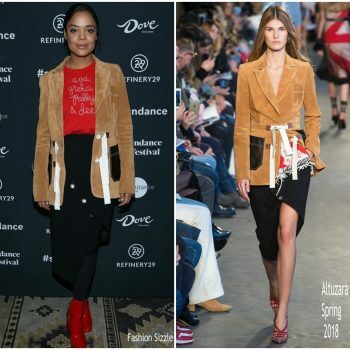 She wore a an Altuzarra jacket a jacquard Altuzarra jacket with shearling trim . 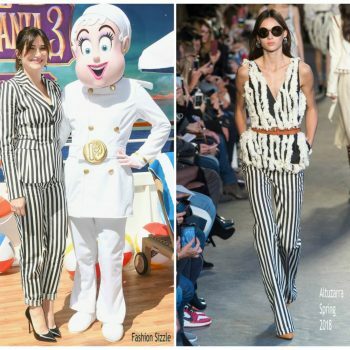 Alicia Vikander made a guest appearance on ‘Live with Kelly and Ryan’ on Wednesday (March 14) in New York City to promote her new film, ‘Tomb Raider’. 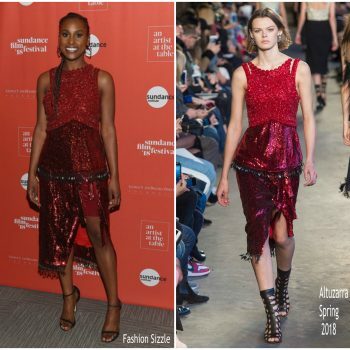 She wore a a Altuzarra Pre-Fall 2018 dress. 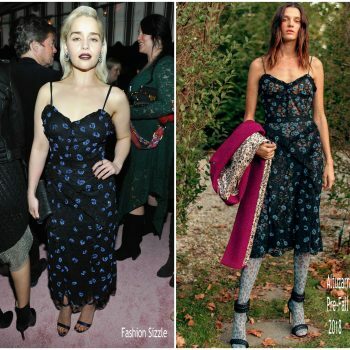 Emilia Clarke was in attendance at W Magazine’s Celebration of its ‘Best Performances’ Portfolio on Thursday (January 4) in LA. 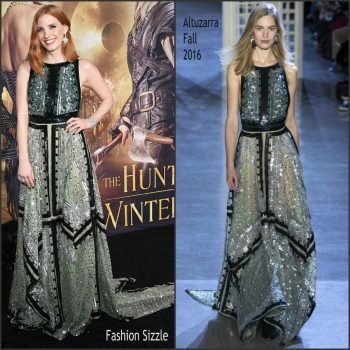 She wore a Altuzarra Pre-Fall 2018 dress. 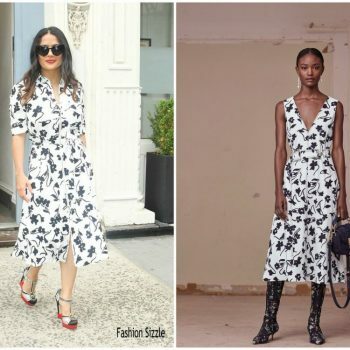 Salma Hayek Pinault wore an Altuzarra Resort 2018 navy "Alana" dress to the "Indie Contenders Roundtable" event during the AFI FEST 2017. 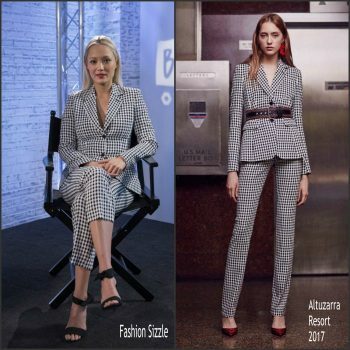 Pom Klementieff speaks during a BUILD London event at AOL London on April 25, 2017 She wore an Altuzarra Resort 2017 suit. Lily Collins made a guest appearance at the ITV Studios in London, on Tuesday April 18, 2017 to promote‘Rules Don’t Apply. 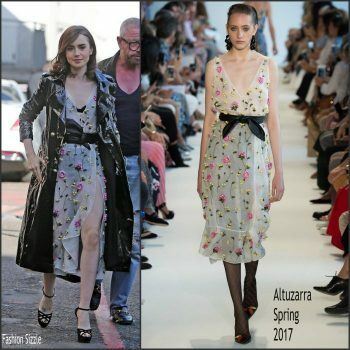 She wore a floral Altuzarra Spring 2017 dress styled with black heels. Nicole Kidman attended the premiere on Tuesday (February 7) at the TCL Chinese Theatre in Hollywood. 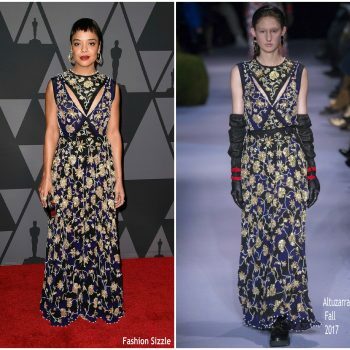 She wore an Altuzarra Spring 2017 berry-embroidered ruffle gown. 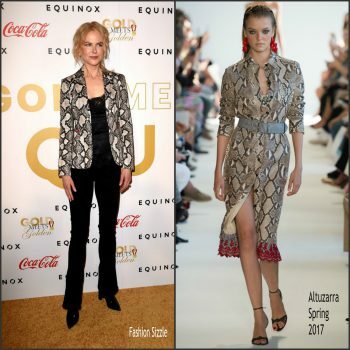 Nicole Kidman attended the Gold Meets Golden event held at Equinox Sports Club on Saturday (January 7) in West Los Angeles. 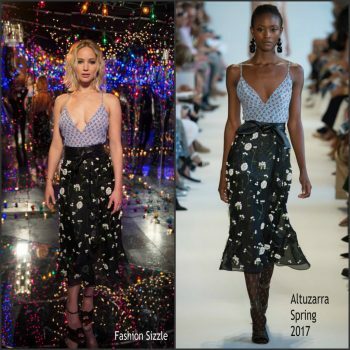 She wore a Altuzarra Spring 2017 outfit . Amy Adams attended the Palm Springs International Film Festival Film Awards Gala in Palm Springs. 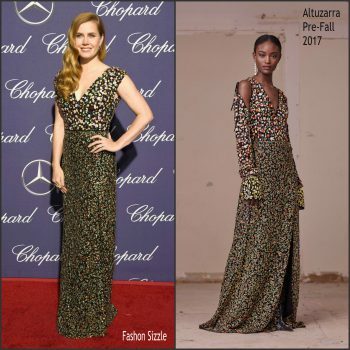 She wore an Altuzarra Pre-Fall 2017 floral-embroidered gown . Zoey Deutch attended the Why Him Movie LA Press Day. 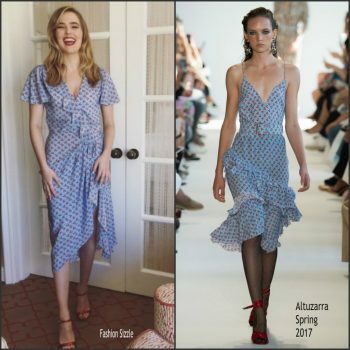 She wore an Altuzarra Spring 2017 "Mesilla" clearwater cherry printed dress. 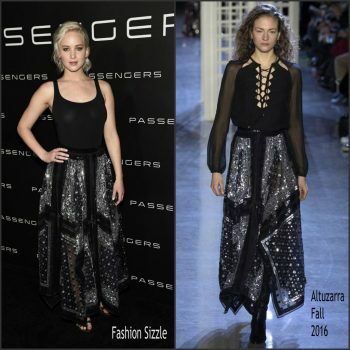 Jennifer Lawrence made a guest appearance on El Hormiguero to promote Passengers Movie. 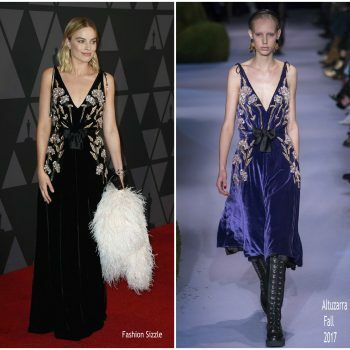 She wore an Altuzarra Resort 2017 "Millows" lace-up dress with studded detail. Lauren Cohan attended the AMC's "The Walking Dead" panel during Comic-Con International 2016 at San Diego Convention Center on July 22, 2016 in San Diego, California. Joan Smalls attends the 70th Annual Tony Awards at The Beacon Theatre on June 12, 2016 in New York City. 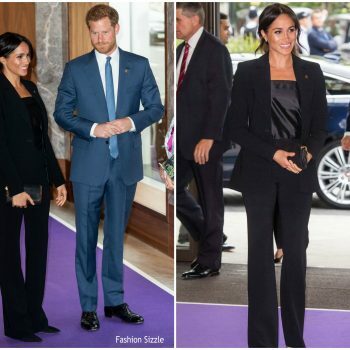 Jennifer Lawrence attended a photocall in London on Sunday for promotional tour for the X-Men sequel Apocalypse at the Claridge's Hotel. 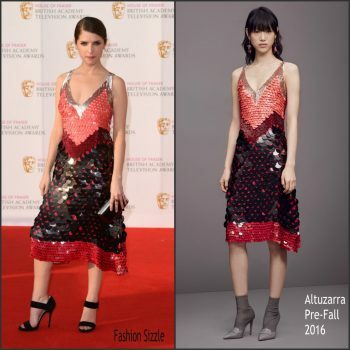 Anna Kendrick was in attendance at the House of Fraser 2016 BAFTA TV Awards at the Royal Festival Hall in London UK on Sunday, May 8, 2016. 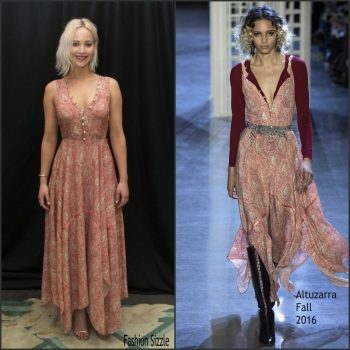 Jennifer Lawrence was in attendance at Sony Presentation at CinemaCon in Vegas April 12, 2016. Amal Clooney was spotted out and about SoHo, New York City on March 31, 2016. 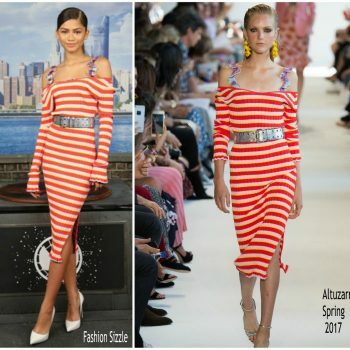 Target recently announced that their next partnership will be with the brand Altuzarra. 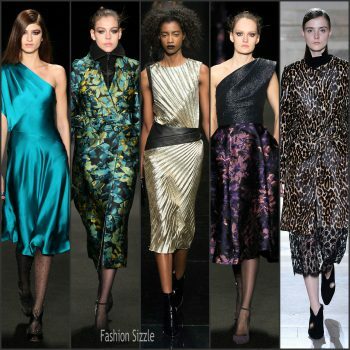 Designer Joseph Altuzarra will create a limited-edition collection of ready-to-wear and accessories for women that will hit stores in September 2014.